Huawei kicks off 2016 with award winning flagship devices, 8 lucky winners got gold bars in a draw in Cairo Festival City Mall, 3 others won Mate 8. Huawei Egypt launched new flagship smartphone Mate8, which is set to create a new benchmark of high performance and battery life. Huawei also launched the Huawei Watch, the first smartwatch in the Huawei wearable devices family to expand the line of premium products. Mate 8 was globally launched in early January at the largest worldwide technology show CES 2016 in Las Vegas, where it was chosen as the Best Mobile Device at the office “Best of CES” awards. The device is available in two versions; 3GB + 32 GB and 4GB + 64GB in all Huawei official distributors retail network in Egypt. 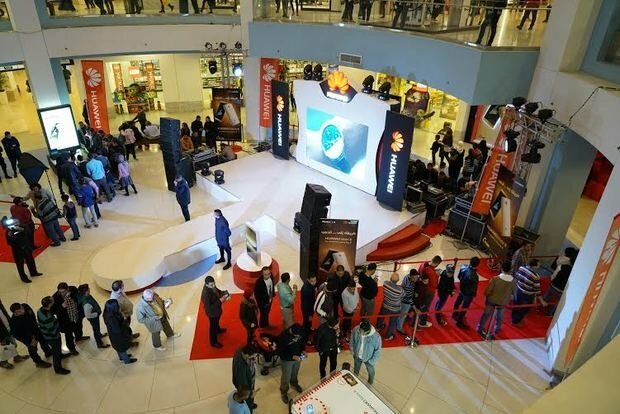 In mid February Huawei celebrated the first buy of its new Mate 8 in Cairo Festival City Mall. 8 lucky buyers won gold bars in a draw carried at Virgin Mega Store while 3 visitors won 3 Mate 8 devices. “Mate 8 and Huawei Watch are two of our most important releases in 2016, and we are expecting a huge turnover in the Egyptian market that will push Huawei local market share, especially in the high end category,” said George Li, Director of Egypt Office, Huawei Consumer BG. Li added that Huawei is currently the second in the smartphone market in Egypt with a market share close to 15%. Featuring the most powerful chipset, a high-capacity battery and stylish design, the Huawei Mate 8 is the ideal smartphone for today’s on-the-go professional. Mate 8 is designed from the ground up for productivity and its hardware and software have been fine-tuned to provide an elegant, efficient experience. Through Huawei’s continued commitment to ‘Make It Possible,’ the Huawei Watch delivers on that promise and gives the consumer a premium smartwatch that is technologically innovative. As the first smartwatch in Huawei’s expanding line of premium wearable products, the Huawei Watch, with its elegant design and ground breaking technology, is created to enhance and be part of the consumer’s everyday lives.